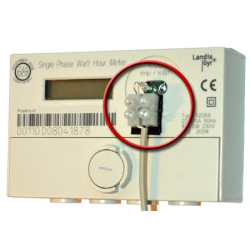 SDM630 Modbus MID 3-phase energy meter. Modular device for DIN rail 35mm, width: 4 modules, the display shows Volt, Amps, Power, Power factor and more. With pulse output suitable for logging, modbus RTU communication available suitable for our Logger 3030 datalogger. MID certification makes it possible to use for billing purposes. With Modbus RTU, pulse output suitable for logging. Modular device for DIN rail 35mm, width: 4 modules (72.3 mm), the display shows Volts, Watts, Apmeres, Frequecy, Power factor and more. 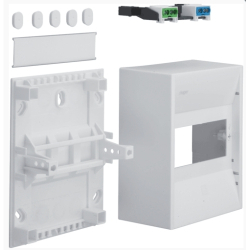 The unit can monitor and display three phase four wire (3p4w) supply. Phase to neutral voltages 100 to 289V a.c.
Voltages between phases 173 to 500V a.c. Maximum terminal opening for power cables is 8 X 8 mm (MAX 25 mm2 cable). Response time to step input 1s, typical, to >99% of final reading, at 50 Hz. import/export etc.) are configured through the Set-up screens. The pulse relay output can be set to generate pulses to represent kWh or kVArh. be configured from the set-up menu. verified under nominal value (within the specified tolerance) of these conditions. 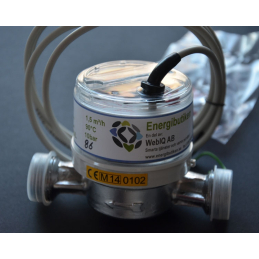 Importer and distributor is Web Info Quality EU AB, owner of www.energibutiken.se.